It just wouldn’t be the holidays in the nation’s capital without The Washington Ballet’s “The Nutcracker” at Warner Theatre. Tchaikovsky’s iconic ballet has become a holiday tradition around the world, but especially in our nation’s capital with The Washington Ballet’s perennial performance at Warner Theatre. Set on Christmas Eve in 1882, Clara and her family host a holiday party in their Georgetown mansion. When her mysterious godfather Mr. Drosselmeyer presents Clara with a nutcracker, she’s suddenly plunged into a magical world of the evil Rat King and lovely Sugar Plum Fairy. This year marks Kent’s second “Nutcracker” since taking over The Washington Ballet. 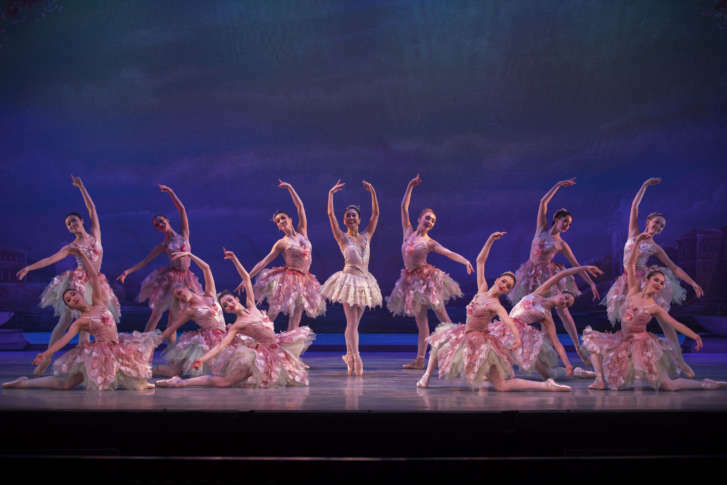 The cast features fresh faces such as Brittany Stone, who makes her Sugar Plum Fairy debut. On the flip side, the production also features veteran TWB dancers such as Corey Landolt. All joking aside, this year Landolt plays both the Snow King and the Anacostian Indian. The Anacostian Indian is one of the many D.C.-themed elements in this version. Washington Nationals baseball fans might even see Teddy in a tutu. Other special guests include ESPN’s Tony Kornheiser, FOX-5’s Erin Como, WUSA-9’s Lesli Foster, Councilman Jack Evans and Congresswoman Eleanor Holmes Norton. You’ll also recognize plenty of familiar faces from the dance company itself due to annual appearances. Indeed, “The Nutcracker” was the first ballet many dancers ever saw in their hometowns. Among the 500 child performers, there’s one youth dancer that’s extra close to Kent’s heart.